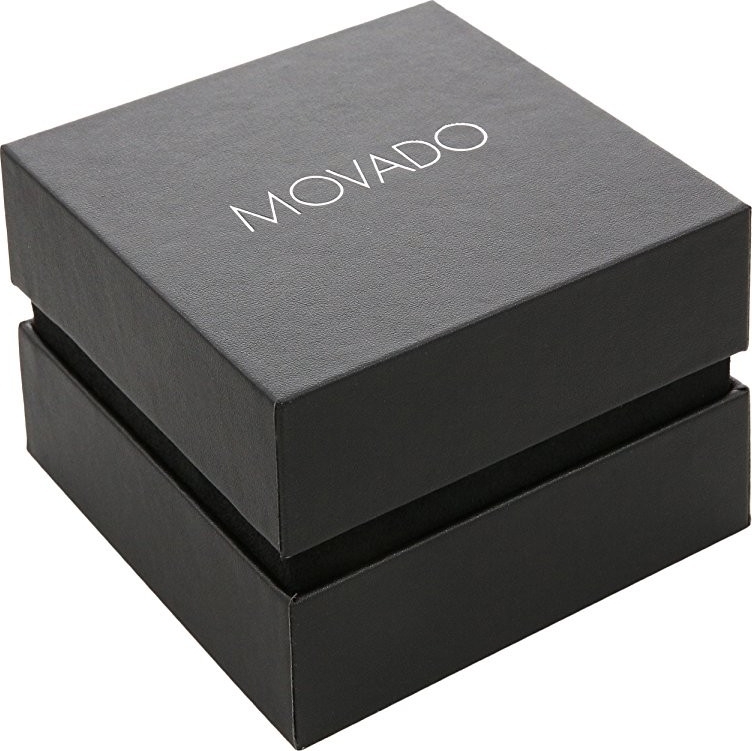 As exquisite as your favorite jewelry bangle, this Bold collection watch from Movado displays timeless elegance. Rose gold ion-plated stainless steel bangle bracelet with removable links and deployment clasp. Round case, 25mm, K1 crystal. 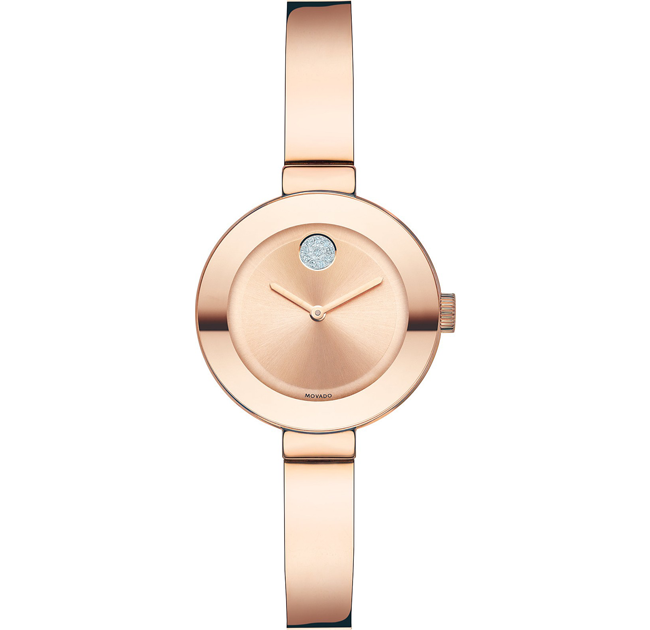 Rose gold-tone sunray dial with two hands and dot marker crystallized with Swarovski elements.